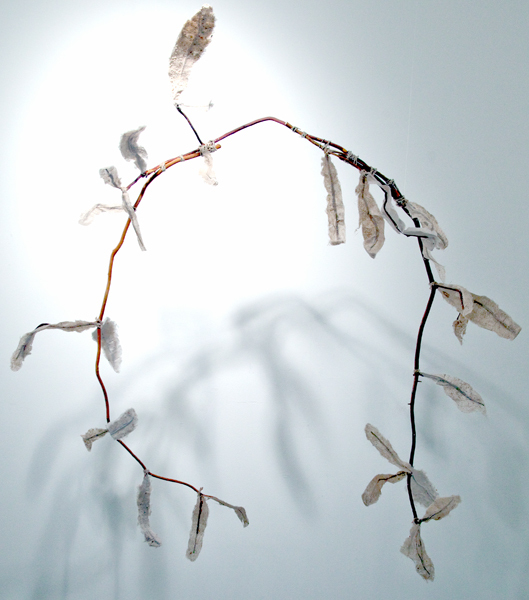 Jane Ingram Allen made the artwork for her current exhibition in the Project Space at Gallery Route One during a residency at the Lucid Art Foundation in Inverness and working as an artist in GRO’s Artists in the School program. During September, 2013 she and her husband, photographer Timothy S. Allen set up papermaking “studios” at the Lucid Art Foundation, the West Marin School and at the Commons in Point Reyes Station. 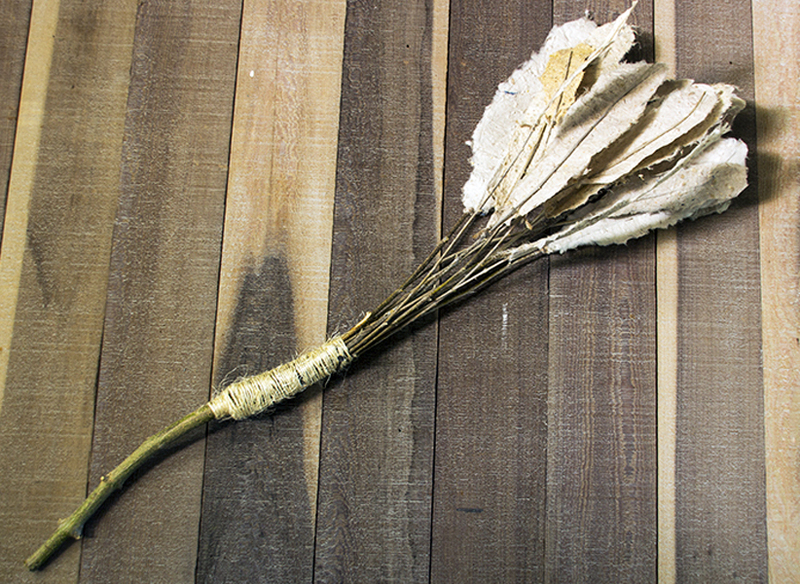 Allen taught papermaking at all three locations. 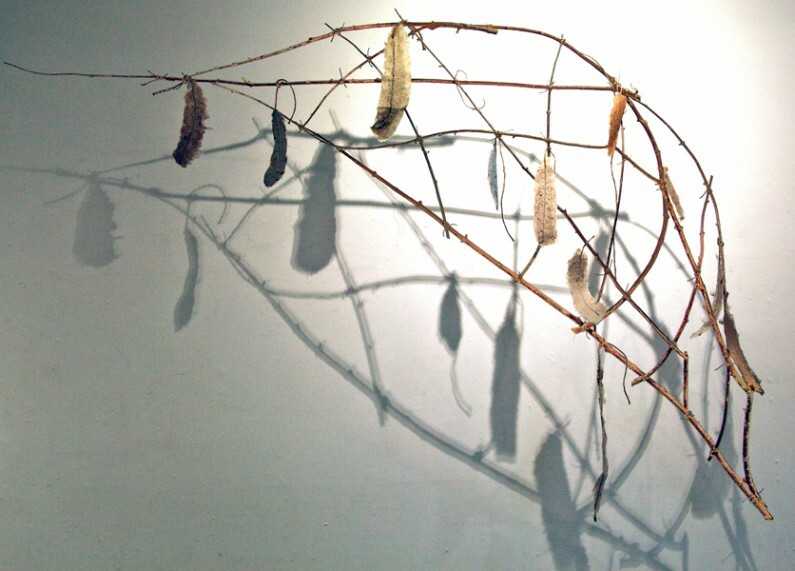 Along with the students at the school she made paper feathers using local plant fibers imbedded with birdseed and wove nests of willow and other locally gathered plants, which were then installed in trees down Main street. Allen and the community constructed a large walk-in nest at the Commons. 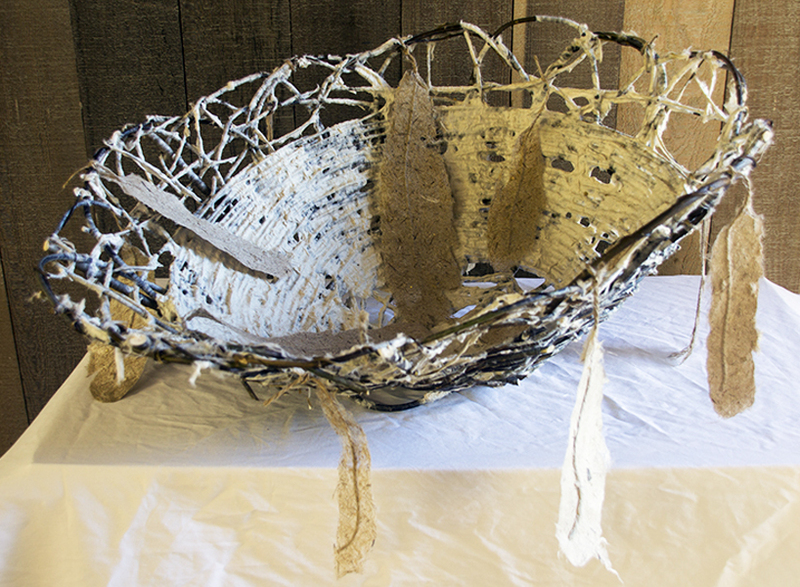 Casual visitors, locals, families with children joined in on two weekends to make feathers and nests. Photos in the gallery are by Timothy Allen of this and many of Jane Ingram Allen’s international projects. See more about Jane Ingram Allen on Jane Ingram Allen’s Blog. 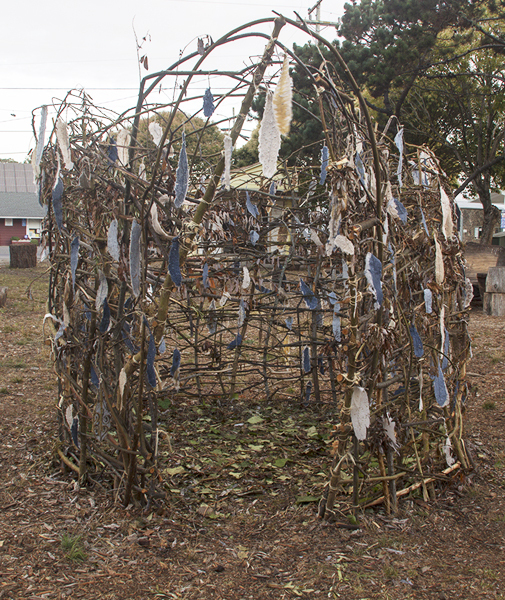 More photos from the Public Art Project can be found on Tim S. Allen’s blog. 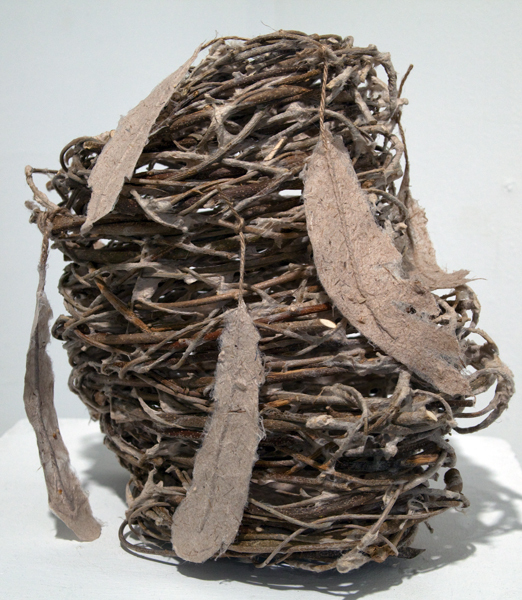 Originally trained in Japan and then on a Fulbright Scholarship to Taiwan, Allen developed her techniques in Asian paper making and has completed many residencies and organized numerous installations internationally. Her projects address environmental issues around the world; for the project in West Marin the focus was on bird populations because West Marin is an important wild bird habitat and on a flyway for bird migration. GRO thanks the Lucid Art Foundation and the West Marin Fund for their support of the project and of GRO’s Artists in the Schools program. 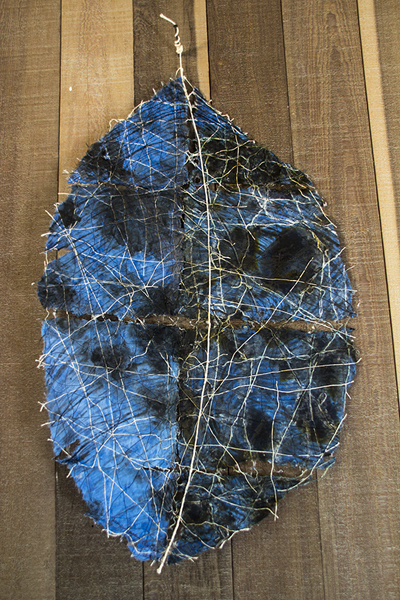 With the Earth is an ongoing exhibition series addressing local and global environmental issues as seen through the work of local, national and international artists. The Project Space at Gallery Route One has been organizing and presenting “With the Earth” exhibitions for over 20 years.